Work them into the rest of your post. 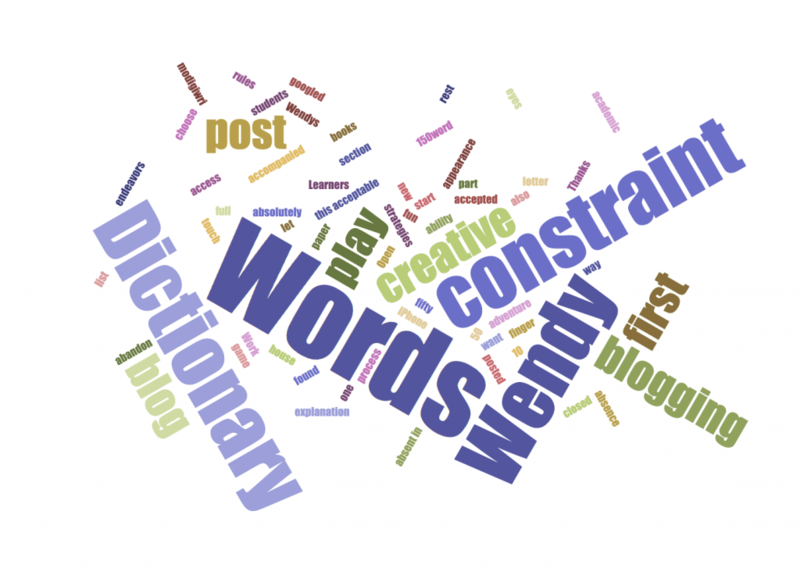 This first section of blogging is fifty words of explanation. A paper dictionary is absent in my house, which is full of books; its absence accompanied my iPhone appearance. So I accepted a new constraint which would also be a way my students could access the process as part of my academic endeavors. Is this acceptable to Wendy? I absolutely did not want to abandon the ability to play with a creative constraint. I googled “Words that start with ‘a'” and found a list at the Learner’s Dictionary. Thanks, Wendy, for our 150-word adventure.